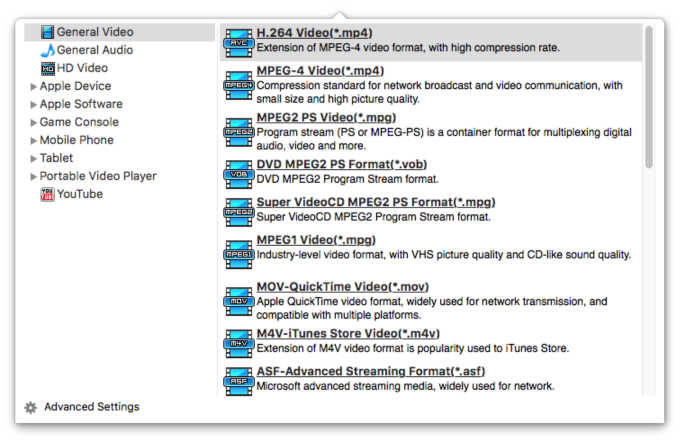 How to convert MKV to WMV on Mac? "I've been searching the net for a successful method to convert my high definition MKV files to WMV HD files with minimal loss in quality so I can place them on my external HDD or my Xbox 360 for playback. I've read guides on the internet, but they require me to install 8 different programs, and it all seems pretty complicated. Can anyone help me reach another best way to convert MKV files to .WMV files that i am able to import them to my Xbox 360 for playback?" WMV format is well supported by most kinds of portable players likeAndroid-based phones (HTC Desire Included), Xbox 360, PS3 etc. while HD MKV (Matroska Video) is common for storing video and audio data on computers but can't be supported by those media players, so if you want to play your favorite MKV movies on your Xbox 360, it's necessary to convert MKV to WMV format. iFunia Video Converter for Mac can convert MKV files to WMV for XBOX360 and other common format, Besides, It also offers you an ideal solution to customize the MKV videos by clipping, merging and splitting files, cropping frame size and adjusting effect. Just drag the MKV or HD MKV files that you’d like to convert and drop them to the main interface of the app. Alternatively, you can click the Media Browser icon at the upper right corner to import files from Folder, iTunes and Device. You may add as many videos as you want for MKV to WMV batch conversion. You can also edit videos by trimming, cropping and merging before conversion. Click the format profile icon to check out the drop-down list of available output formats and choose WMV as output format. In addition to WMV, you can also convert MKV to MP4 or any other format you need. You also can change conversion properties and specify a directory on your computer to save the output files. You are allowed to adjust video and audio options such as frame rate, bit rate, video codec, etc". If you are not familiar with the video settings, leave it as the default one. Finally, convert your DVD to WMV by hitting the Start button. Tick "Shutdown when done" check box - if needed. After the MKV to WMV conversion, you can freely enjoy your MKV movies as WMV files without worrying about the damage of the video quality. Moreover, if you want to put the output file on your iPod, iPhone (iPhone 8 included) or other popular portable device, you can select an output format according to your device name!